Physicochemical characterization of Dulce de Leche (DL) or milk jam, a type of sweetened concentrated milk especially popular in South America, was carried out on six commercial brands produced in Turkey. One of the samples was prepared using sheep milk while the others were purchased from local retailers. Solid content, protein, fat, ash, pH and lactic acid content were determined. Lightness, yellowness and redness as color parameters of the DL samples were evaluated. Carbohydrate profile and contents in DL samples were also determined by HPLC. The data were treated using Principal Component Analysis (PCA). Extensive variability among all the parameters evaluated was observed, as a result of using different DL production procedures in the dairies. In this regard, PCA was shown to be useful to separate the DL samples with distinct physicochemical characteristics and to assess the influence of different production techniques on the properties of DL samples. Özellikle Güney Amerika’da popüler olan şekerli konsantre sütün bir tipi Dulce de Leche (DL) veya süt reçelinin fizikokimyasal karakterizasyonu, Türkiye’de üretilen altı ticari ürün ile gerçekleştirilmiştir. Örneklerden biri koyun sütü kullanılarak hazırlanmış, diğerleri yerel perakendecilerden satın alınmıştır. Kuru madde, protein, yağ, kül, pH, laktik asit içeriği ve renk parametreleri belirlenmiştir. Renk parametreleri olarak “lightness”, “yellowness” ve “redness” değerlendirilmiştir. DL örneklerindeki karbonhidrat profili ve içeriği ise HPLC ile belirlenmiştir. Veriler, Temel Bileşen Analizi (TBA) kullanılarak işlenmiştir. Değerlendirilen tüm parametreler arasında, işletmelerde farklı DL üretim prosedürlerinin kullanımının bir sonucu olarak, geniş aralıkta bir değişkenlik gözlenmiştir. Bu bağlamda, TBA’nın, DL örneklerinin özellikleri üzerine farklı üretim tekniklerinin etkisinin belirlenmesinde ve belirgin fizikokimyasal karakteristiklere sahip DL örneklerinin ayırt edilmesinde kullanılabileceği gösterilmiştir. Association of Official Analytical Chemists. (2005). Official methods of analysis of AOAC international (18th ed.). Gaithersburg, MD: AOAC International. Association of Official Analytical Chemists. (2006). Official methods of analysis of AOAC international, Method 980.13 (First Action 1980). Fructose, Glucose, Lactose, Maltose and Sucrose in Milk Chocolate, Liquid Chromatographic Method, AOAC International. BSR (1997). Regulamento Técnico MERCOSUL Para Fixação de Identidade e Qualidade de Doce de Leite. Portaria No. 354, de 04 de setembro de 1997, do Ministério da Agricultura, Pecuária e Abastecimento, Brasilia. Ferreira, L.O., Pimenta C.S., Pinheiro A.C.M., Pereira P.A.P., & Santos, G. (2011). Sensory evaluation of “dulce de leche” with coffee and whey using different affective data analysis methods. Ciênc. Tecnol. Aliment., Campinas, 31(4), 998-1005. Gaze L.V., Costa M.P., Monteiro M.L.G., Lavorato J.A.A., Conte Júnior C.A., Raices R.S.L., Cruz A.G., & Freitas, M.Q. (2015). Dulce de Leche, a typical product of Latin America: Characterisation by physicochemical, optical and instrumental methods. 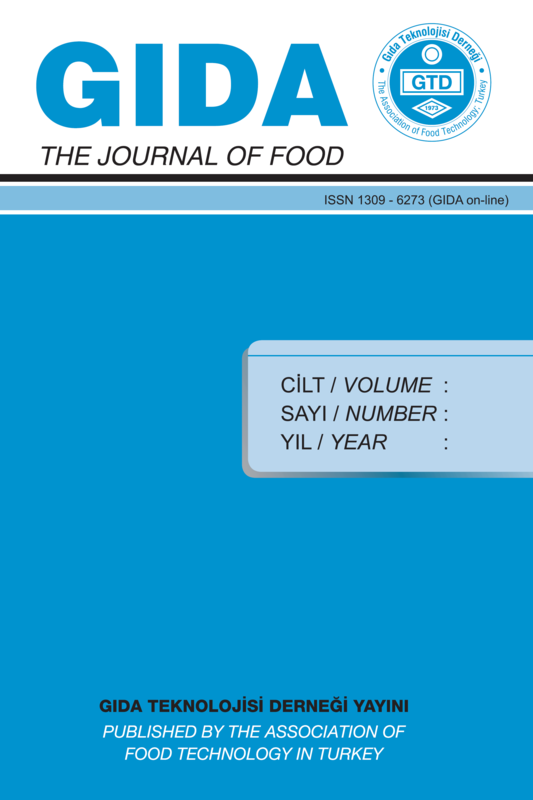 Food Chem, 169, 471–477. Malec, L.S., Llosa, R.A., & Vigo, M.S. (1999). Sugar formulation effect on available lysine content of dulce de leche. J Dairy Res, 66, 335-339. Oliveira, M. N., Penna, A. L. B., & Nevarez, H. G. (2009). Production of evaporated milk, sweetened condensed milk and ‘Dulce de Leche’. In A. Y. Tamime (Ed. ), Dairy powders and concentrated products (pp. 149–180). Oxford: Blackwell Publishing. Pauletti, M., Calvo, C., Izquierdo, L., & Costell, E. (1992). Colour and texture of dulce de leche, a confectionery dairy product. Selection of instrumental methods for industrial quality control. Rev. Esp. Cienc. Tecnol. Aliment., 32, 291–305. Ranalli, N., Andrés, S. C., & Califano, A. N. (2012). Physicochemical and rheological characterization of ‘Dulce de leche’. J Texture Stud, 43(2), 115-123. Ranalli, N., Andrés, S. C., & Califano, A. N. (2016). Rheological Behavior of Low‐Fat Dulce De Leche with Added Xanthan Gum. J Food Process Preserv, 41, 1-8. Silva, F. L., Ferreira, H. A. L., Souza, A. B., Almeida, D.F., Stephani, R., Pirozi, M. R., & Perrone, I. T. (2015). Production of Dulce de leche: the effect of starch addition. Food Sci Technol, 62(1), 417-423. Zalazar, C. A., & Perotti, M. C. (2011). Concentrated dairy products, Dulce de Leche.In J. W. Fuquay, P. Fox, & P. McSweeney (Eds. ), Enciclopedia of dairy science (2 ed., pp. 874–880). Cornwall, UK: Academic Press.